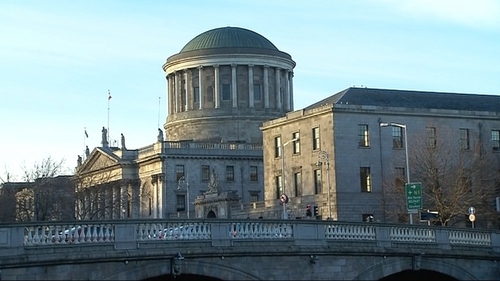 A solicitor has lost a High Court challenge to a decision to reduce costs charged to a client by €650,000. Wicklow based solicitor Joseph Buckley had challenged the decision of the Taxing Master, who determines legal costs, in January 2017. His High Court challenge had been opposed by the client, Denis Doyle, who said the decision showed he had been seriously overcharged. The taxing master's decision had been on hold pending the High Court review. Separate proceedings by Mr Doyle against his former solicitor seeking a sum of €565,000 in a client account which Mr Doyle alleges is his also remain on hold pending the High Court review. Mr Buckley, who claims he is owed the monies in fees, had said some €45,000 remains in that account. Today Mr Justice Donald Binchy said he had concluded the court should not intervene in the "significant reductions" made by Master O'Neill. The judge concluded Mr Buckley's complaints about the hearing before the Taxing Master must be rejected. He found the Taxing Master had jurisdiction to make his determination, did not fall into error and gave a fair and reasoned consideration to the matter. However, he said he had a reservation concerning one item where Mr Buckley claimed to have discharged a €190,000 account of a man in full on instructions. If it could be established at the plenary hearing that payment was made, the Taxing Master's findings should be adjusted in Mr Buckley's favour. The judge put the matter back so the sides can get and consider the full judgment. During the hearing, Paul Anthony McDermott SC, for Mr Doyle, said the Taxing Master's decisions showed Mr Buckley was involved in "serious overcharging". Mr Buckley agreed with the Taxing Master a €60,000 fee charged by him on one occasion was excessive and unjustifiable and that fee was reduced to €6,000, counsel said. While Mr Buckley argued Mr Doyle consented to the fees and signed bills, there was an issue whether that was informed consent, counsel argued. The Taxing Master had said Mr Doyle was, at best, presented with bills of "almost impenetrable opaqueness". Mr Buckley had argued the rules and law governing costs meant he was entitled to have the court validate his bills of costs. He said he had bills of costs with the client's endorsement on them and the Taxing Master failed to address a range of issues, including the breakdown of time he spent on work for his client and that some costs were on a solicitor-client basis. Addressing a claim he billed some €7,000 or €8,000 fees for a senior counsel who had indicated his fee was €1,500, plus VAT, Mr Buckley said that counsel was retained in a case which ran for two and a half years and was entitled to the payment.